Italian Christian jurisconsult; born in Milan June 15, 1801; died at Castagnole, near Lugano, Feb. 5, 1869. 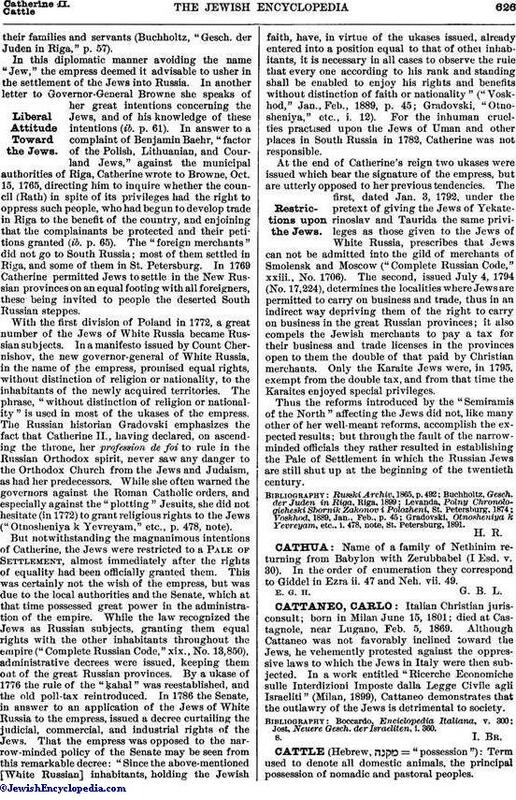 Although Cattaneo was not favorably inclined toward the Jews, he vehemently protested against the oppressive laws to which the Jews in Italy were then subjected. In a work entitled "Ricerche Economiche sulle Interdizioni Imposte dalla Legge Civile agli Israeliti" (Milan, 1899), Cattaneo demonstrates that the outlawry of the Jews is detrimental to society. Jost, Neuere Gesch. der Israeliten, i. 360.